Since 1984 we are looking to the future. 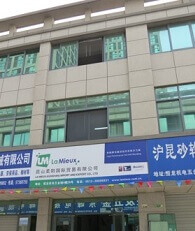 LAMIEUX was established in Taipei, Taiwan. Starting import and export shoes and textile materials. 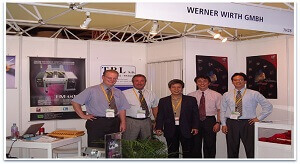 We mainly represented well-known European and US brands for great China market. LAMIEUX began to promote low pressure molding technology, as a ioneer in this market, LAMIEUX worked with long-term partner Bostik (France) and WERNER WIRTH (Germany). Mr. Sven Hoeppner from WERNER WIRTH (Germany) and LAMIEUX sales manager Mr. Jason Xi acquired 100% shares from Mr. Tony Huang – the company founder. Based on Low Pressure Moulding experience and know-hows for more than 10 years, LAMIEUX developed own brand machines, LM series. Joint venture with Korean company Henneung and established LAMIEUX Korea.